Making the Budget 2019 winding up speech, the Minister said the Rupee has appreciated by 4.5 percent since January this year, and inflation is now at a low rate of 2.4 percent. The minister, reminding the House that Rs.57 billion flowed out of the country during the 52-day political coup, said the Government has been able to re-coup Rs 10 billion as foreign investments in government securities from January this year. He added the country received the highest ever Foreign Direct Investment (FDI) to a tune of US$ 2,300 billion last year. He added that the Government has already drafted the required new legislation to implement the proposal to provide full scholarships to GCE A/L top ranked students to study in prestigious international universities. He said that discussions have commenced in this regard with Harvard, MIT, Oxford and Cambridge Universities, adding that 14 top ranked students selected among those sitting for the A/L exam in August this year, would be enrolled for overseas study from September 2020. “Unlike the previous Government which invested money on white elephant projects, we invest public money for the true development of the country’s human resources. We have looked into the needs of marginalized and discriminated groups. The Samurdhi would be de-politicised and its benefit would be extended to more families,” he added. The minister also announced that the Edirisinghe Trust Investments (ETI) depositors would be paid their third tranche of their capital before the Sinhala and Tamil New Year. “The Central Bank has just announced that Blue Summit Capital of Singapore and Ben Holdings of Sri Lanka have now completed remitting the final tranche of USD 16 million to ETIF bringing their total investments for selected assets of the ETI to USD 70 million. ETI depositors will be paid another 10 percent of their capital using this money.This brings the total capital repaid to all depositors to 30 percent of their deposit value. In addition, ETI continues to pay interest payments at the Central Bank directed rate to all depositors. The Central Bank has also conditionally approved a recovery business plan for ETI and Swarnamahal Financial Services Ltd from Isuna Investments and Informatics and it is now waiting implementation,” the minister added. The minister also countering misinformation on Blue Summit Capital and Ben Holdings investing on the ETI said, “If this investment did not materialise, ETI depositors would be deprived of 30 percent of their deposits. The fact that a major player in the international mobile industry, ‘Lycamobile’ of the UK owned by a Sri Lankan Tamil businessman, is possibly the major shareholder of these investing companies should not be a reason to character assassinate him or his company. We should be proud that the Tamil diaspora is now feeling comfortable enough to make such large investments in Sri Lanka which is benefitting depositors from all communities,” he said. The Minister said the Central Bank has also filed action against the ETI Directors. “The ETI problem first surfaced in 2011, but the then Government failed to provide any solution. This is not one of our problems. This is yet another problem we inherited from the former Government, but we have now dealt with it fairly and squarely,” he added. The minister also said the Government would have to do the same for ‘The Finance Company’ which also collapsed with many other financial institutions of the Ceylinco Group. “Entrust is another glaring example of a failed financial institution during the previous Government. It is also dumped at our doorstep. I am confident that the CB in due course will find acceptable solutions to all innocent depositors of these financial institutions,” he commented. A new ‘Micro Finance Regulatory Authority Bill’ will be presented in Parliament within three months to tighten the laws pertaining to micro-finance firms, Finance Minister Mangala Samaraweera said. The minister, replying to a question by Opposition Leader Mahinda Rajapaksa, told Parliament yesterday that the new Bill will introduce a strong regulatory framework for micro-finance institutions. He said that the new Bill was being prepared since the Government understood that the Micro Finance Act No 6 of 2016 was not strong enough to deal with grave issues relating to micro-finance firms. He said the new Bill would put an end to debt traps laid by unscrupulous lenders (“poli mudalalis”). He also stated that about 86 percent of lenders involved in micro-finance schemes have connections to those in the previous Government. “Former Central Bank Governor Ajith Nivaard Cabraal is the creator of this problem in Sri Lanka.We are conducting a study on this entire issue and the report will be presented to Parliament once completed. Previous Government’s black money is behind the micro-finance schemes.The cronies of the previous Government who cheated money from the Stock Market also involved in these,” he charged. The minister further accused that post-tsunami funds including that of ‘Helping Hambantota’ were the root cause of mushrooming micro-finance firms in Sri Lanka. “In the aftermath of the tsunami, Sri Lanka received the second highest international donations. A large sum of the received funds was cheated by various persons. We are still investigating as to what happened to the National Development Trust Fund (NDTF) started in the post-tsunami period,” he added. The minister said the Government since 2015 had already written off micro-finance loans upto Rs. 200,000 obtained by 36,000 debt-stricken women. Observing that the rupee has started appreciating, the minister also said that the people have got the opportunity to celebrate Sinhala and Tamil New Year better this year as food prices are stable in the market. Responding to another question by JVP Leader Anura Dissanayake on the limitations imposed on public servants duty free vehicle permits, the minister said those barriers will gradually be relaxed from June 1 and completely removed from October 1. “Those barriers were imposed to control the vehicle imports to the country in the wake of depreciation of rupee. Now we are in a position to relax them. Accordingly, the public servants (except the retired officers) who received their vehicle permits after September 30, 2018 can open Letter of Credits (LCs) after June 1, those who received their vehicle permits after February 2019 can open LCs after August 1, and those who will receive their vehicle permits after July 30 can open LCs after September 1.After October 1, LCs can be opened for vehicle permits received on any date,” he explained. The Committee on Public Finance will be establishing a Budget Office in the Parliament complex to assist research activities required during the budget season and the routine work of the committee. “Establishing a Budget Office will enable us to prepare these reports without a delay. The mandate of the Committee of Finance is to check the allocations made from the Budget agrees with the Government policy, the Vision 2025 published on 17th September 2017,” he added. Leader of the House and Public Enterprise, Kandyan Heritage and Kandy Development Minister Lakshman Kiriella said the delay in the Provincial Council polls was caused by the Opposition’s request to hold the polls under the new electoral system. The Minister stated this during a debate on PC Polls at the discussion of Expenditure Heads of the Finance Ministry in Parliament yesterday. Expressing his views in response to a question raised by MP Dullas Alahapperuma during the round of questions for oral answers, the Minister further stated that from the beginning, the UNP had requested to hold the PC Election under the existing electoral system. “It was the Opposition that suggested to hold it according to the new electoral system. However, the new system is incomplete. Only half of the new electoral system has been passed. Despite the necessity to hold the Election under the existing system, it is required to go for an amendment and present it in Parliament. The whole Parliament had agreed on formulating a new Constitution, but the process seems to be stuck for some reason, TNA Leader R. Sampanthan said. “Sri Lanka does not have a founding document on which the country and society is built on, which all can cherish, value and which is the ultimate law of the land,” Sampanthan lamented. However, he insisted that the Tamil people are committed to finding a solution to their issue within a united indivisible Sri Lanka. On the issue of the UN resolution, he said the two issues of utmost importance in the country today are the implementation of the resolution co-sponsored by the Sri Lankan government and unanimously adopted by the UNHRC. The first matter the UNHRC resolution is also based upon two investigations the first conducted by an independent panel appointed by the Secretary General of the UN comprising of three experts and the second investigation conducted by the UNHRC itself. “Both have come to the conclusion that war crimes and crimes against humanity were committed and that there were violations of international humanitarian and human rights laws during the civil conflict and that matters needed to be further investigated upon and determined. “The International Group of Eminent Persons has found an absence of will on the part of the government of Sri Lanka in the present inquiry to investigate cases with vigour where the conduct of the security forces has been called into question.” He told the government that everything cannot be swept under the carpet, adding that their current approach can do immense harm to the country. However, he said they are not saying that all the armed forces who fought the LTTE on the instructions of the state should be blamed or punished. “The armed forces acted on the instructions of the Sri Lankan Government. But those responsible for domestic and international crimes including those responsible on the basis of command responsibilities and the chain of command should not be allowed to get away scot free. I say this in the long-term interest of this country. The truth should be ascertained,” he added. Speaker Karu Jayasuriya thanked the ministries, ministers and government officials engaged in the budget preparations from the beginning to yesterday (5). He thanked parliament staff for extending their support throughout the budget proposal season. Finance Minister Mangala Samaraweera was thanked for presenting a budget which is beneficial for the country and its economy. 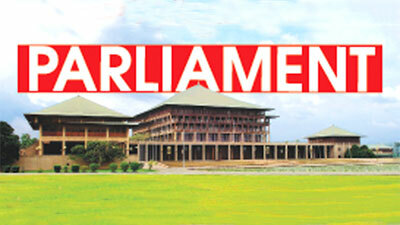 Jayasuriya thanked the Deputy Speaker Ananda Kumarasiri and thanked the ministers who supported him during this period. He highlighted the fact that the parliamentarian’s mannerism during the session, has tarnished the image of the parliament, this is not a good example. He thanked the ministries which were involved in putting the sessions together, and security officers belonging to the Special Task Force, Navy and Police.Parliament sessions will resume on May (7). The government earlier said that they would tax the rich to provide for the poor, but that is not what has happened so far. They take from the rich and the poor and no one knows who they give it to, Opposition Leader Mahinda Rajapaksa said. He said due to the economic system of the government Sri Lanka has been listed in the grey list as a country where money laundering takes place and if the government continues to obtain money from such sources, it will be blacklisted. “In 2018 due to the depreciation of the rupee the loan interests had increased by Rs.800 billion. With this amount of money, they could have built three ports like Hambantota. They blamed my government for having taken loans of Rs.138 billion to build the Hambantota port,” he said, adding that he is happy that the Prime Minister and his government now realises its value and the world attention has been focussed on this port. MP Mahinda Amaraweera said that less importance has been given to the farmers and fishermen in the recent budget proposals. Addressing the final budget session yesterday, he said the farmers harvest rice for the nation and fishermen feed the nation with protein with every catch. “The allocation for these two sectors is very poor, and it’s completely ignored. When I was the agriculture minister, the needs of the farmers were met. Today the farmers have to struggle in obtaining fertilizers. Having 2000 kgs of paddy cannot help, what can they do with the 2000 kgs”. He further added people can harvest their food when that can be done why should such essentials like chillies be imported? Why can’t every household take the initiative to plant a chillie plant? The importing of species are running into millions of rupees.The fishermen are risking their lives in the sea to harvest a decent catch, yet they are unable to sell it as conditions aren’t conducive. “Over 40% of the daily catch of fish is going a waste. A proper storage system should be provided. Fishermen should be given vessels conducive for fishing. Give these fishermen concessionary loans, if the fishermen and farmers aren’t looked after this country will never progress”.